- Virginia Hey lent her voice to reprise her role as Zhaan to play Zhaan's voice in Stark's head. - This is the first episode in which one of the Crichtons doesn't appear; a non-imagined one anyway. - As of this episode Aeryn has become aware of the erased timeline from The Locket in some capacity. - The alien Aeryn hired claiming to be her father. - Rygel: "It's a planet of Starks down here!" - Stark catching a glimpse of Aeryn's mother. - Stark attacking Crais for not killing Xhalax. - Rygel flying up to Aeryn's room. - Aeryn: "I returned from the dead. Why can't he?" - Xhalax barging into Aeryn's room and killing "Talyn." - Xhalax revealing that she killed Aeryn's (real) father so that Aeryn could live. - Crais barging into Aeryn's room and finally killing Xhalax. - Stark departing Talyn and staying on the planet. This episode is overwrought. 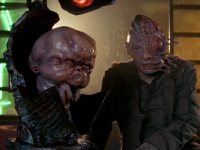 Unkilling Xhalax just to kill her again after Aeryn's already suffered the loss of Crichton was a lame attempt to prolong the drama that was better executed in Relativity, climaxing in Infinite Possibilities. As a consequence, this episode was largely redundant and spending an entire episode watching Aeryn grieve in this bizarre, brooding way adds little value to the overall story, arguably diminishing it. Combine that with the random clip show including clips from the erased timeline of The Locket of all episodes and we've got the makings of a real flop. However the episode redeemed itself somewhat toward the end with a few interesting tidbits of plot such as the curious departure of Stark who goes on some kind of spiritual journey to reach Zhaan and especially the plot point of Talyn supposedly locating Moya. 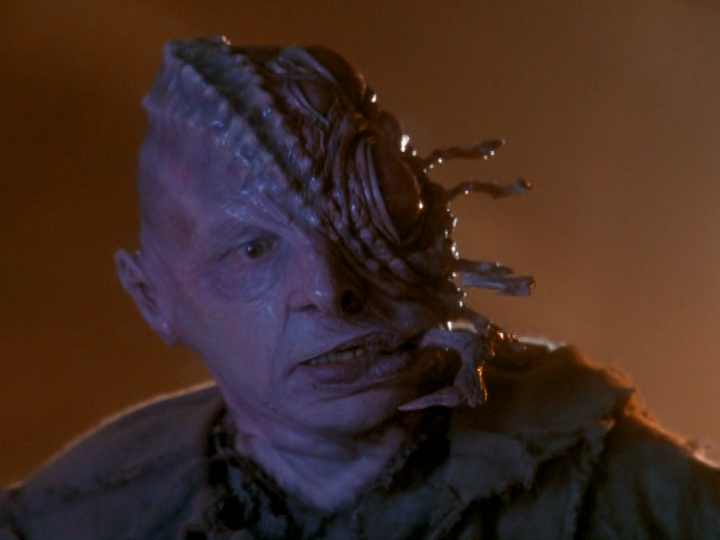 Xhalax' death was also about as well played as it could have been given the dismal premise of the episode. It's nice to see Crais finally do what he should have done in the first place and even better was seeing signs that Xhalax had finally started to see the error of her ways in the seconds just prior to her death. So for all that the premise was terrible, the episode did a halfway decent job of overcoming that. 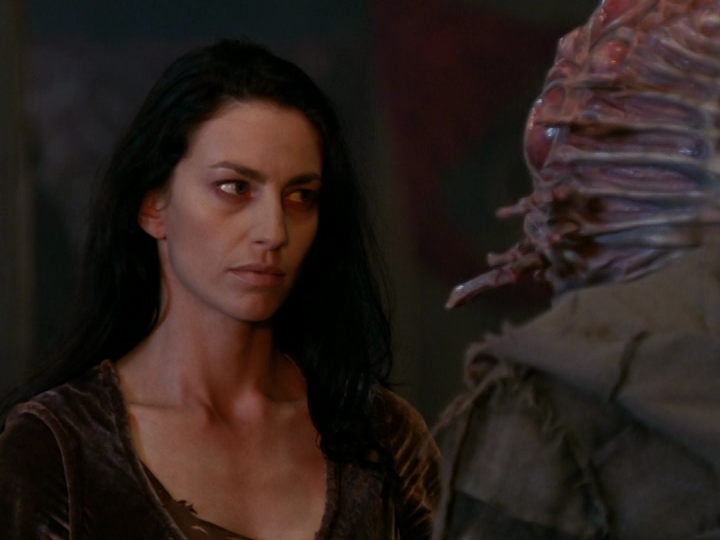 Nice to see Aeryn with her hair out, and a dress for a change - and good work by Claudia Black. I found the story a tad too slow without not much development - and the whole Xhalax track felt odd. Amazing alien makeup in "Talyn" and Cresus.